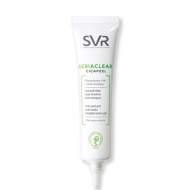 DESCRIPTION: Sebiaclear BB Crème Medium from SVR is a cream with anti imperfections color, bubbles, blackheads that leaves the oily skin perfectly matte. Smoothes the texture of the skin and reduces imperfections. 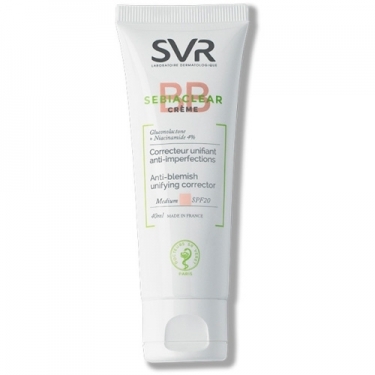 Provides medium sun protection (SPF20) and immediate comfort. Ideal for combined, oily and sensitive skin. Texture non-greasy, high tolerance, hypoallergenic and without parabens. 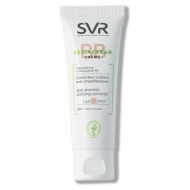 Correction formula, with UV filters and matifying agents and seborgulators for an antiglitz action, sebum regulator, protective and antibacterial. The skin is even, protected and without imperfections.